Please contact us at 603-429-1600 to discuss your application and how New England Small Tube can help you. 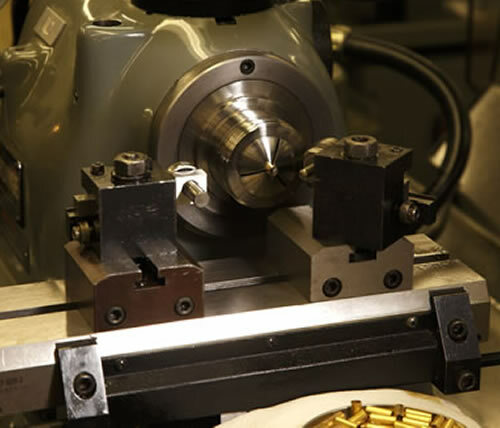 New England Small Tube has its own in-house machining center. 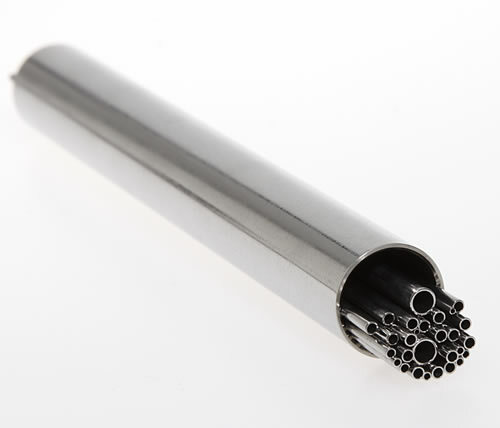 The greatest advantage to having our own machine shop is the ability to match machined parts to the mating tubes. Mouse over images to view each machining service and click to visit the service page. 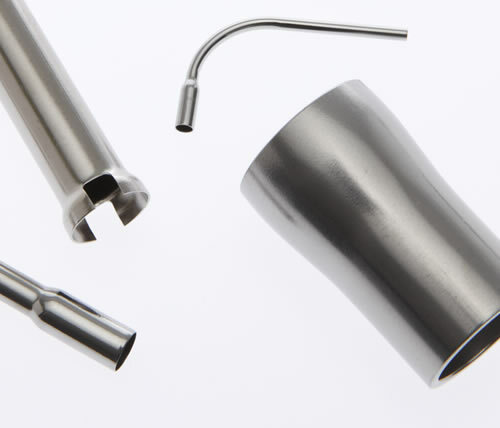 Years of experience producing custom dies and perfecting our processes make us the best in the business at swaging small diameter stainless steel tubing. 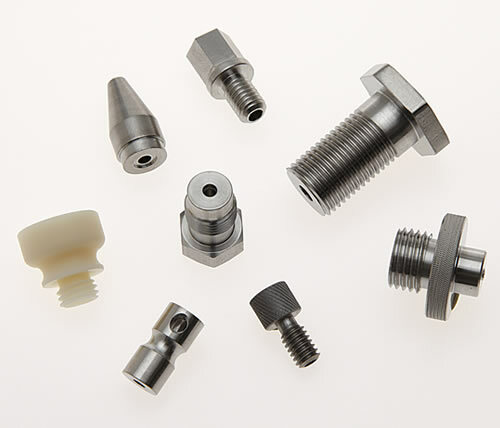 Swiss-style screw machining is a fast, precise and repeatable way to give parts a particular shape, size, or feature that's quicker and more cost-effective than other processes. 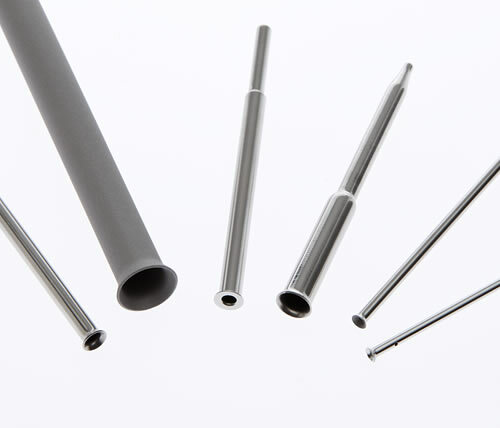 New England Small Tube’s experience in milling and turning allows for holding tight tolerances with quick turnarounds on a consistent basis. 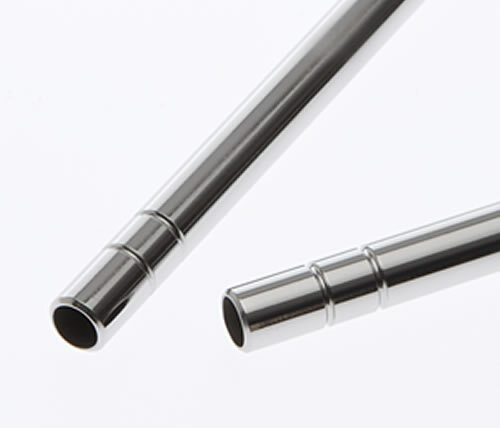 Beads or bulges are often added to a tube to provide a stop for contact with another part. The internal and external features of a bead are rounded. Expanding is a method used to increase the diameter of a tube. In general, a stainless steel tube can be expanded up to 40%, but in some cases, certain materials can be worked farther. 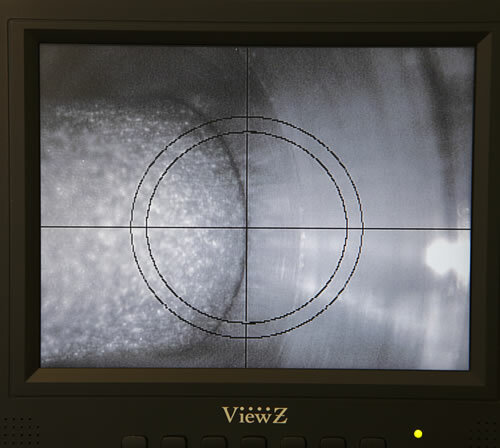 Flaring and flanging are completed with very similar processes but typically serve very different purposes. The corset provides not just a grooved shape on the outside diameter, but also constricts the inner diameter as well. This can be useful when trying to limit or control the flow of a liquid inside the tube. Here at New England Small Tube we understand that not only does a part need to work properly but appearances do make a difference as well. 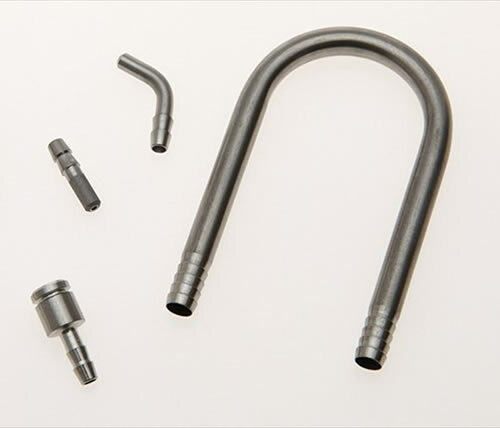 A good looking finished part says as much about quality as the process that produced the part. Mouse over the images to view each finishing service and click to visit that service page. 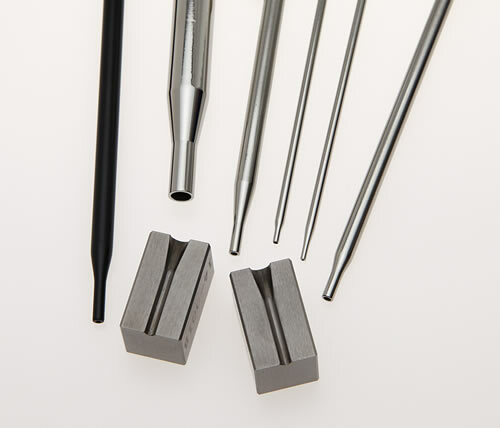 Using pressure and temperature variations allow the internal dimensions of the part to be very finely polished or deburred more uniformly and with greater accuracy. A smooth and uniform surface can be applied to the outer diameter with use of fine abrasives and buffing compounds. 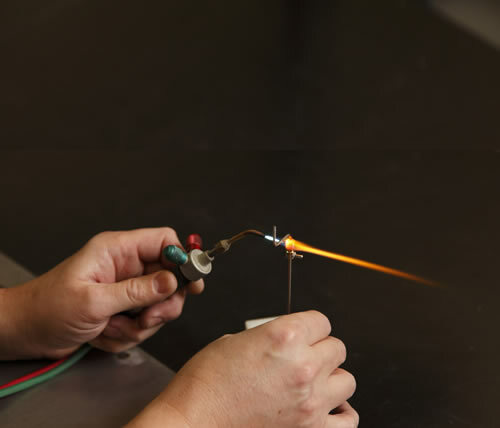 Our buffing operations can produce incredibly polished finishes on tubing products. 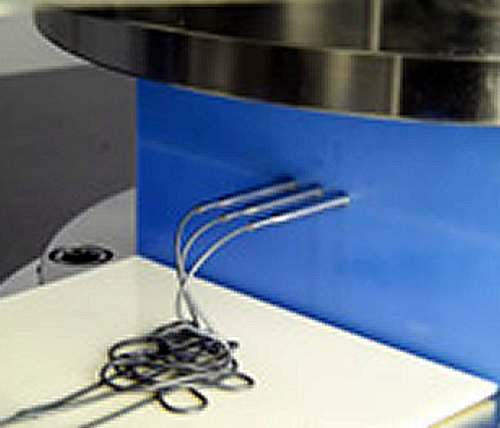 Electropolishing is used not only to polish stainless steel but also to deburr, clean and passivate. It can be used as a way of polishing more complex parts with areas that are typically harder to process using different methods. Depending on your need, a coating could be the best solution to provide properties such as corrosion resistance, hydrophobic conditions, or insulation. 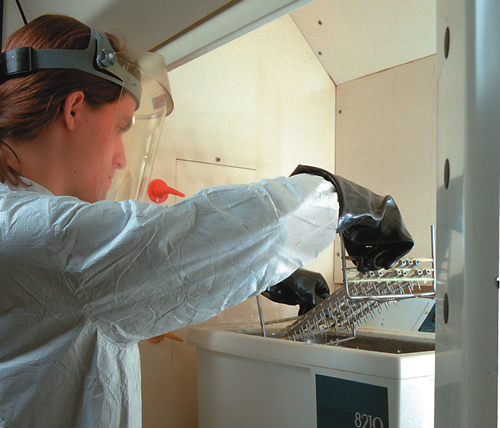 Passivation is a critical part of our quality control and finishing processes here at New England Small Tube. 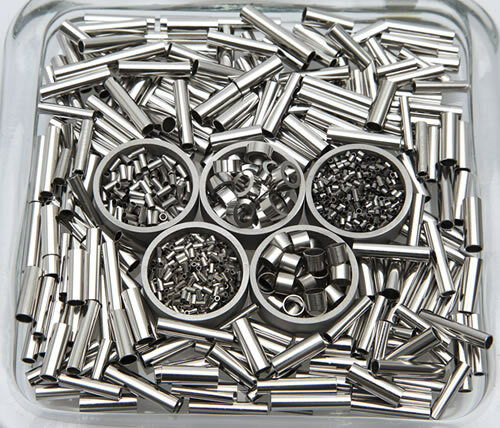 The reason is stainless steel may oxidize if there are any traces of free iron on its surface. 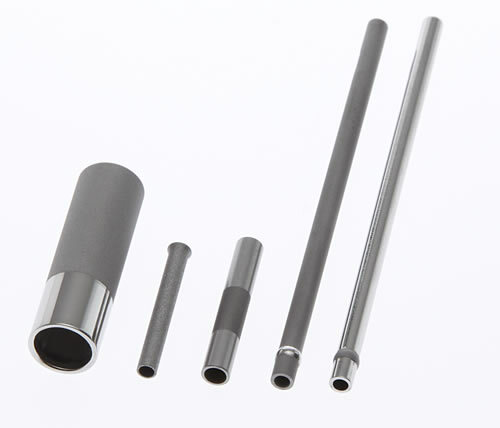 In addition to the precision machining and finishing services we provide, New England Small Tube also offers the following services. Mouse over the images to view each service and click to visit that service page. Whether it’s done manually or automatically, we can provide the bend you need for your design with a process that is easily repeatable. 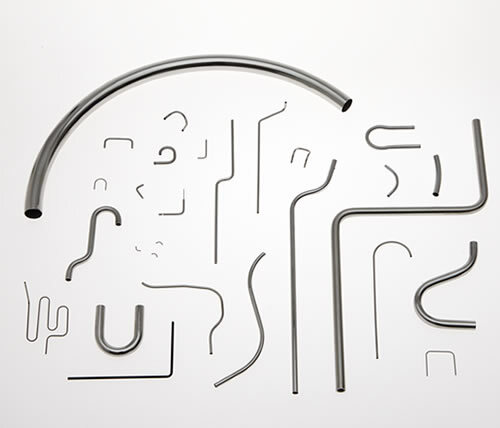 NEST offers clean, smooth bends in a variety of sizes. 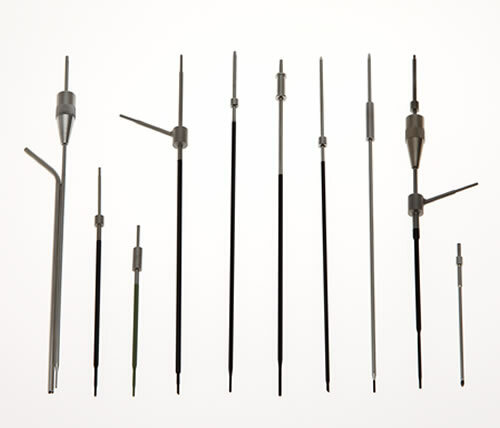 High quality and repeatable laser welding,laser marking and laser drilling are readily available services that we provide. 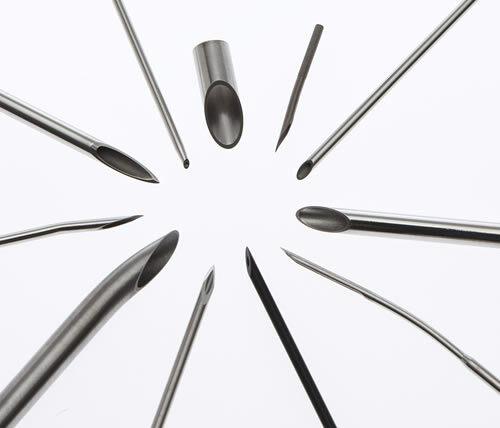 Our expertise allows us to provide strong, clean, dependable joints with minimal sized fillets. 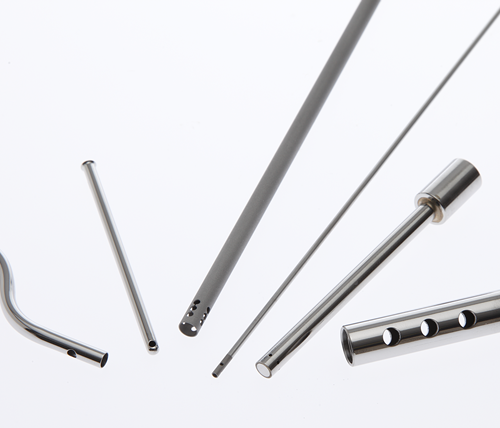 Examples of complex tubing assemblies produce are: Coaxial Sampling Probes, Enclosures, T-Joints and more.